Working to develop a baseline botanical survey of the Chimanimani Mountains. 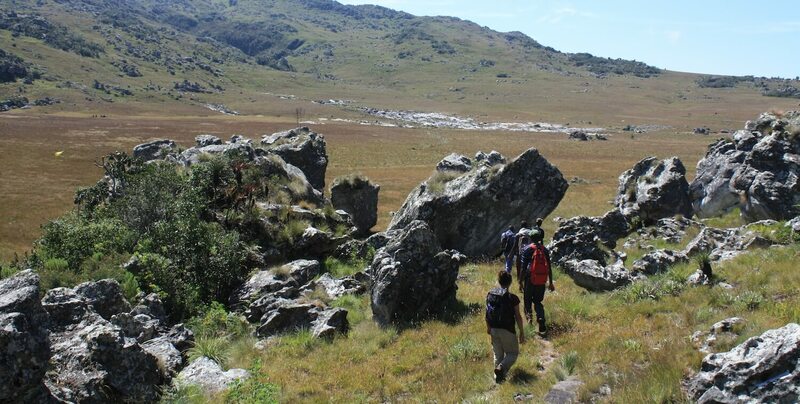 Working closely with the MICAIA Foundation, the Royal Botanical Gardens of Kew will conduct a baseline botanical survey for the Mozambican highland areas of the Chimanimani Transfrontier Conservation Area (TFCA). This will enable MICAIA to then inform local stakeholders so they are better able to act on biodiversity conservation priorities and facilitate improved communication and collaboration between civil society organizations and formal governmental bodies in Mozambique and Zimbabwe in the context of the Chimanimani TFCA. 2 Improve the protection and management of the KBA network throughout the hotspot.